On 22 March, the United Nations Human Rights Council (UNHRC) condemned Israel’s “apparent intentional use of unlawful lethal and other excessive force” used against civilian protesters in Gaza in 2018. 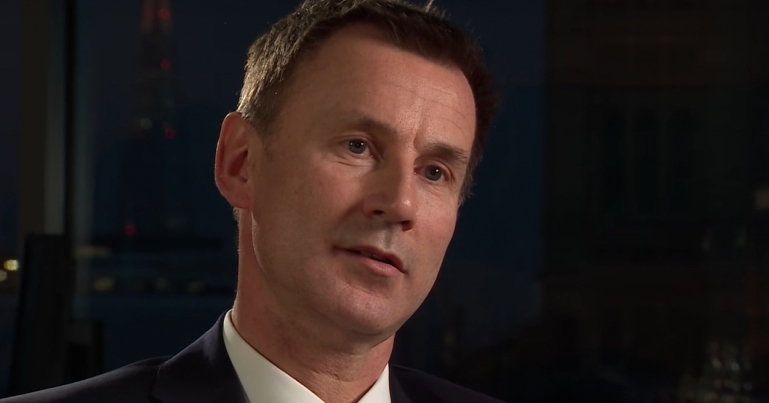 The UK’s foreign secretary, Jeremy Hunt, abstained from the vote. A press release from the Palestine Solidarity Campaign (PSC) explained that the vote was passed “with 23 countries voting in favour, 8 voting against and 15 abstaining”. Israeli soldiers committed violations of international human rights and humanitarian law. Some of those violations may constitute war crimes or crimes against humanity, and must be immediately investigated by Israel. The targeting of civilians is a serious matter that should not be condoned. he would start by vetoing all four items placed under Item 7 – reserved specifically for issues dealing with Israel and the Palestinian territories. Hunt told Jewish Chronicle that Item 7 “strengthens the hard and trampled road of self righteousness, a narrative that one side alone holds a monopoly of fault”. relating to human rights in the occupied Syrian Golan, the right of the Palestinian people to self-determination, human rights in the Occupied Palestinian Territories and Israeli settlements in occupied territories. The resolutions all passed. The resolution relating to the Palestinian right to self-determination passed with “41 votes in favour and only 3 against”. As PSC noted, this puts the UK at odds with the vast majority of the UN Human Rights Council. directly contravenes existing UK government policy, which condemns settlements as illegal under international law and calls on Israel to cease all settlement expansion. The government has also described Israeli settlements as “a barrier to peace”. These voting decisions by the UK Government represent a gross neglect of the UK government’s responsibility to promote human rights and respect for international law. The UK government has endorsed calls for accountability of human rights violations in a number of other countries but refuses to do so with Israel. This double standard is sickening. Over 5000 emails have been sent to MPs and the Foreign Office by PSC members, calling on them to support the recommendations of the UN Independent Commission of Inquiry report into Israeli war crimes against Palestinian civilians. We will continue to keep up the pressure on the UK government to promote global peace and justice, including by building the UK Boycott, Divestment & Sanctions (BDS) movement and taking to the streets on March 30th and May 11th in support of Palestinian rights. The United Nation must now take the next step and place sever SANCTIONS on israel if not, it will only confirm that the UNHRC is a useless organization that needs to be disbanded and replaced with something that works for true justice . But, but, but Whatabout Hamas!